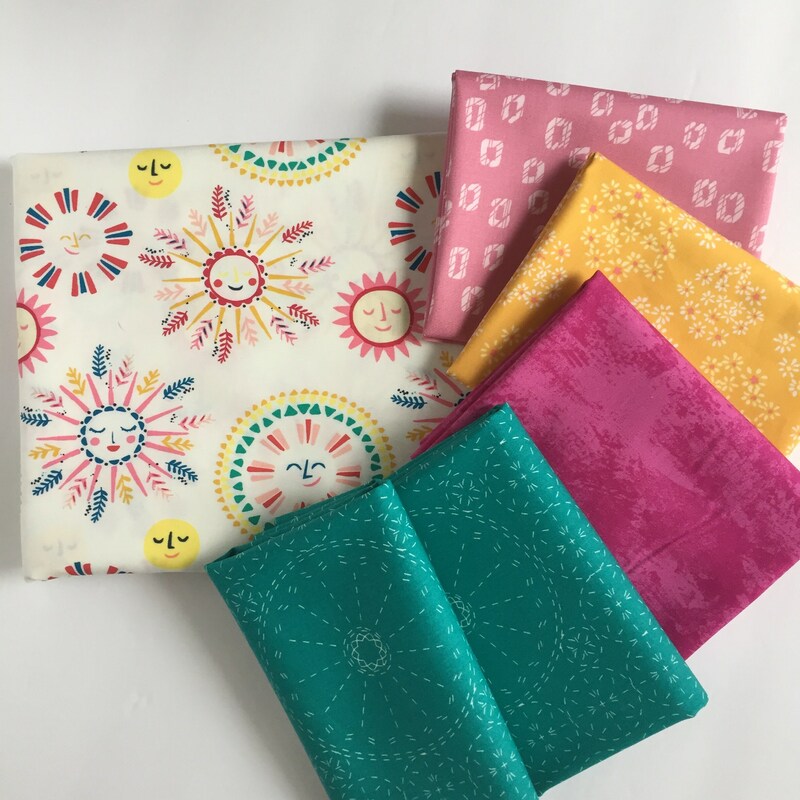 Kit for Beothuk Quilt-a-long hosted by Sandra Walker of MMM! Quilts. Sandra curated this gorgeous kit containing brightly colored fabrics by Art Gallery Fabric. Designed by Maureen Cracknell, BariJ, Katarina Roccella and Sharon Holland, this is a gorgeous bundle! *The kit does not include batting or backing materials. You are welcome to purchase binding and backing separately from my shop. At this time, I do not have batting for sale.